TOM ROBSON, tenor, trained at the Guildhall School of Music & Drama, and studied with Brian Parsons and Janice Chapman. 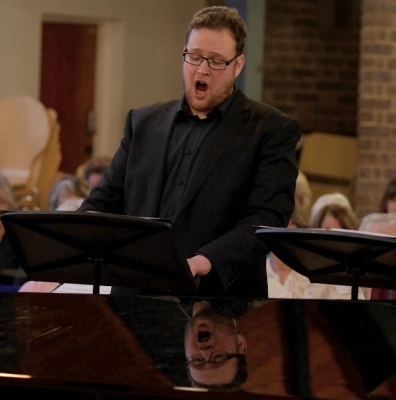 As well as being a Lay-Clerk at Westminster Cathedral in London, and an Associate Lecturer in ​Music at the University of Chichester, Tom enjoys a busy schedule performing with many of the top ensembles in some of the world’s most prestigious venues. Some recent solo engagements include performing with Harry Christophers & The Sixteen (MacMillan Stabat Mater, Glasgow City Halls & Edinburgh The Queen’s Hall), Robert King & The King’s Consort (Monteverdi Vespers, Rheingau Musikfest/Vivaldi La Senna festeggiante, Wigmore Hall & La Musée D’Orsay Paris), David Bates & La Nuova Musica (Schütz Musikalische Exequien, Long Melford/Handel Dixit Dominus, St John’s Smith Square), Nigel Short & Tenebrae Choir (Warlock Songs, Savage Club London), Nicholas McGeegan & The Orchestra of the Age of Enlightenment (Sally Beamish The Judas Passion, Saffron Hall & St John’s Smith Square), The English Cornett and Sackbut Ensemble (Monteverdi Vespers, Westminster Cathedral) & Gerald Wirth, Director of Vienna’ Boys Choir (Handel Messiah, St Stephen’s Cathedral, Vienna). 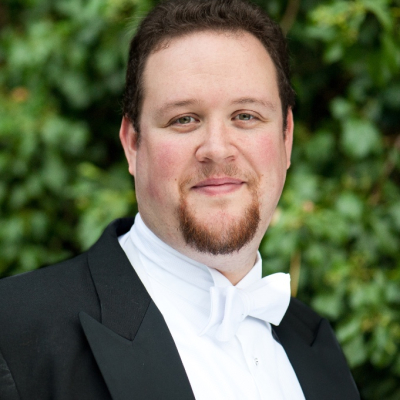 Opera appearances include Donizetti ​Lucia di Lammermoor (Nederlandse Reisopera), Bizet Carmen, Puccini Tosca, Verdi Otello, Cover Martinez in Lord Berners Le Carosse du Saint-Sacrament (Dorset Opera), Rinuccio in Puccini Gianni Schicchi (Park Opera) & Cover Simon Stimson in Ned Rorem Our Town (Guildhall Opera School). Tom is in frequent demand as an oratorio soloist and recitalist, with a particular interest in English Song, and enjoys collaborating with the British lutenist Elizabeth Kenny. He has performed all across the UK, Europe, the USA & Australia, with regular television and radio broadcasts. He can be heard on over 25 commercial recordings, and forthcoming appearances include Bach Cantata 70: Wachet! Betet! Betet! Wachet! with Steven Devine & The Orchestra of the Age of Enlightenment at King’s Place, London, Handel Acis & Galetea with Paul McCreesh & The Gabrieli Consort in Poland, and Bach B Minor Mass with Nigel Short and The Academy of Ancient Music in London as well as concerts across the UK, France, Germany, Spain, Ireland, Austria, the Netherlands, Italy, Poland, Hungary, Denmark, Israel, the USA, & Switzerland. NOT TO BE REPRODUCED. FOR A CONCERT BIOGRAPHY, PLEASE CONTACT VIA THE CONTACT TAB. Go to the Media page to see Tom's full Discography and to listen to some clips. Find out about Tom's forthcoming performances.